I never thought Friday the 13th is a lucky day! Aside from the fact that it's a Salary Day for workers around the Country, I also considered this day as "UNO the 13th Break!" It may sound irrelevant but hear me out. 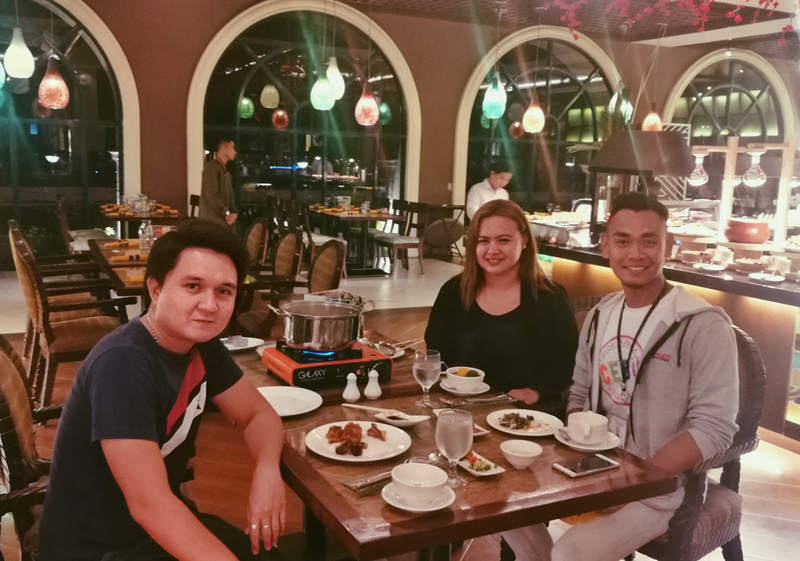 Earlier, I visited one of my fave buffet restaurant in the Metro, Cafe UNO of Watefront Mactan. After a long and tiring week, I bet a Dinner break at Cafe UNO is a much needed culinary escapade that everyone should try to celebrate and to satisfy one's cravings. 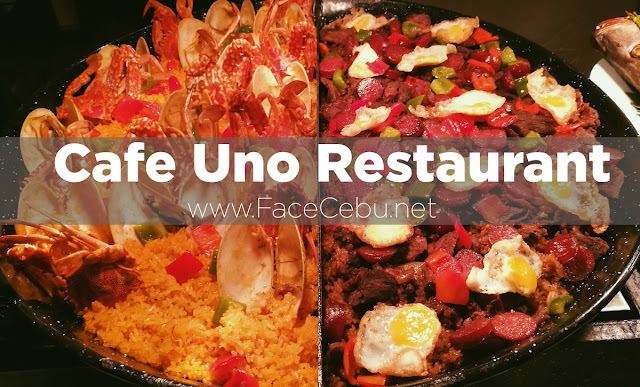 Cafe UNO Restaurant got it all covered for you! Together with my job partner, I enjoyed the vast choices of menu in the buffet spread of Cafe UNO. Sumptuous is an understatement and I must say you should come and give it a try. Now, check out my favorite Dishes for teaser! 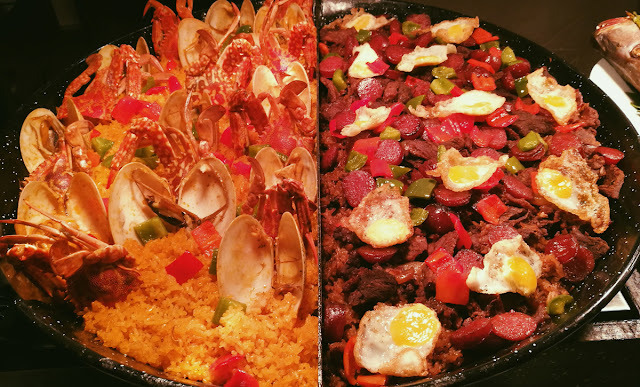 One of the best, Silog Paella! 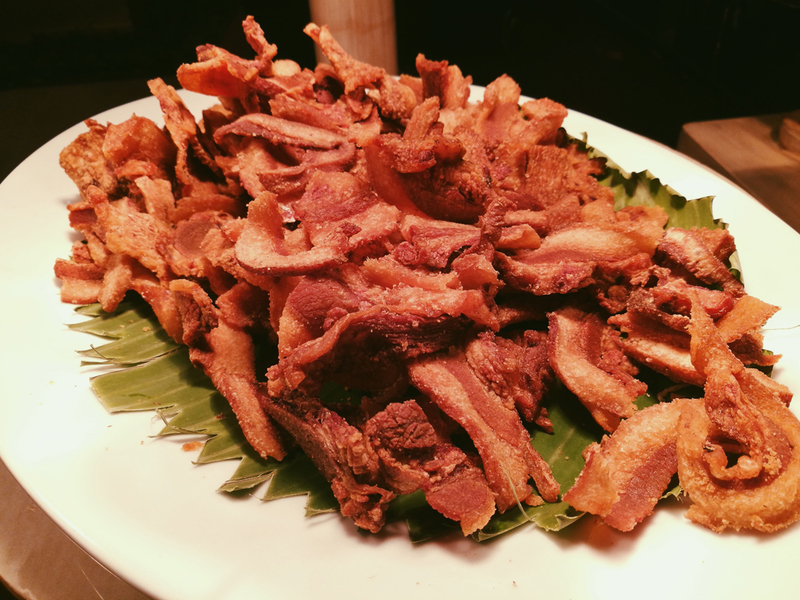 Then there's Bacon Bagnet, it's a sinful dish! Please eat moderately, LOL! 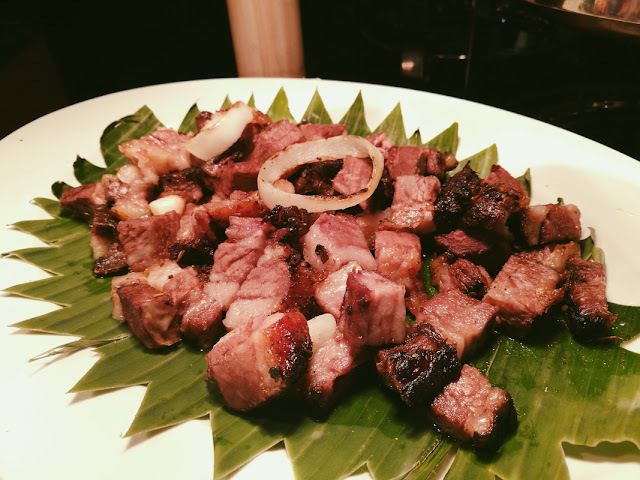 How about Lechon Baka for dinner? so tempting, right? Then my fave for tonight's dinner, Pinaupong Nilasing na Manok. 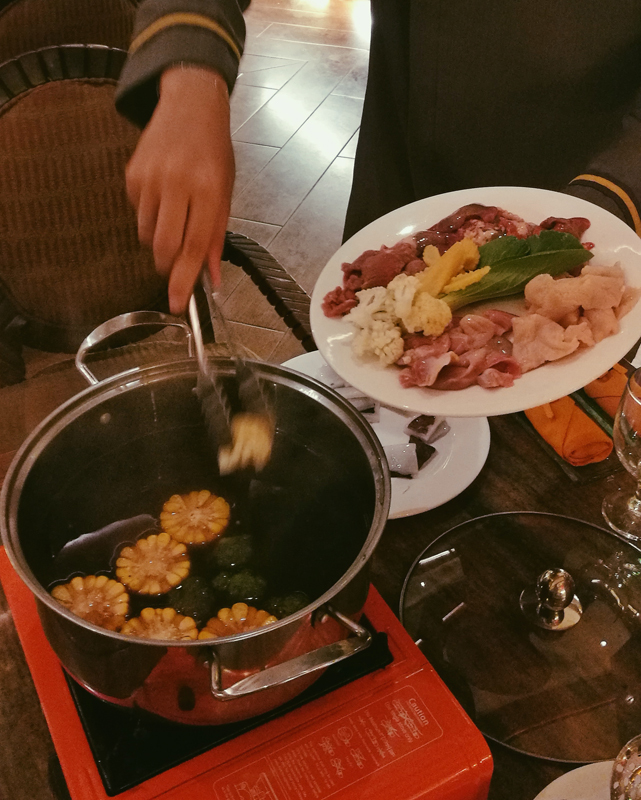 And of course, we did not go home not enjoying this month's specialty, the Hot Pot! We chose the spicy flavor with meat and seafood and do not forget to ask for other spicy ingredients like chili, onions, etc. to add more flavor and texture. Carl is preparing them all! Here you go, Cafe Uno Hot Pot! 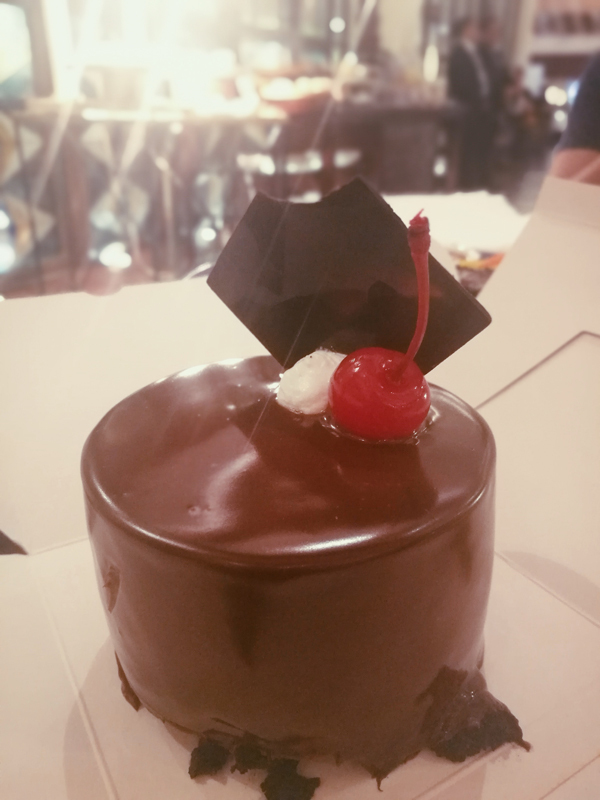 For the desserts, my fave part of every meal, is the ever tasty chocolate cake! Thanks Cafe UNO for the birthday treat! The news is right! 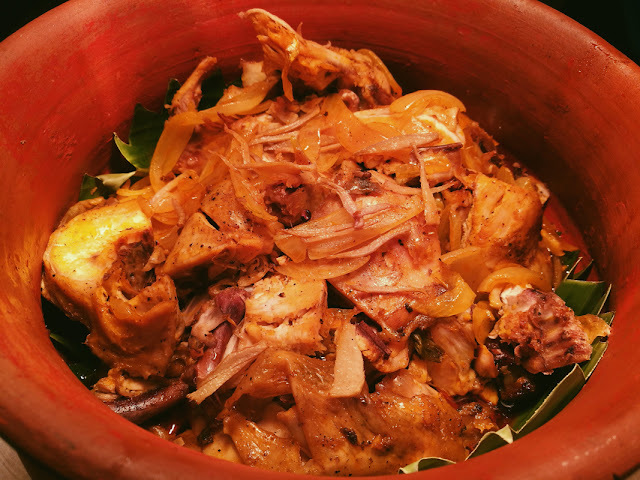 You don't need to come in the hotel to taste the delectable dishes of Cafe Uno. 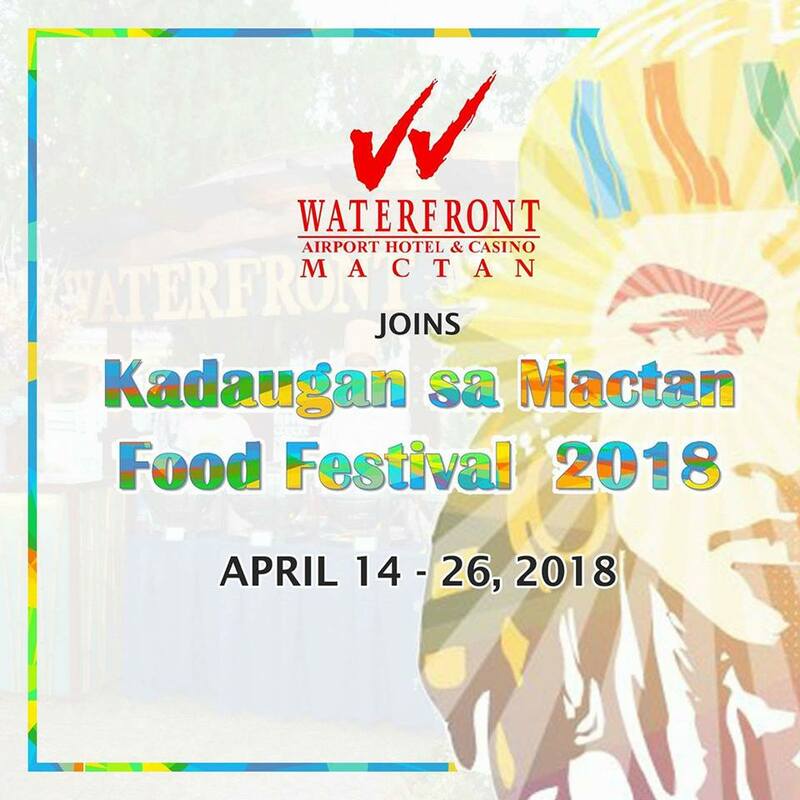 Starting April 14 until 26, 2018, Cafe Uno will highlight their ala carte dishes at Kadaugan sa Mactan Food Festival at Liberty Shrine, Mactan. 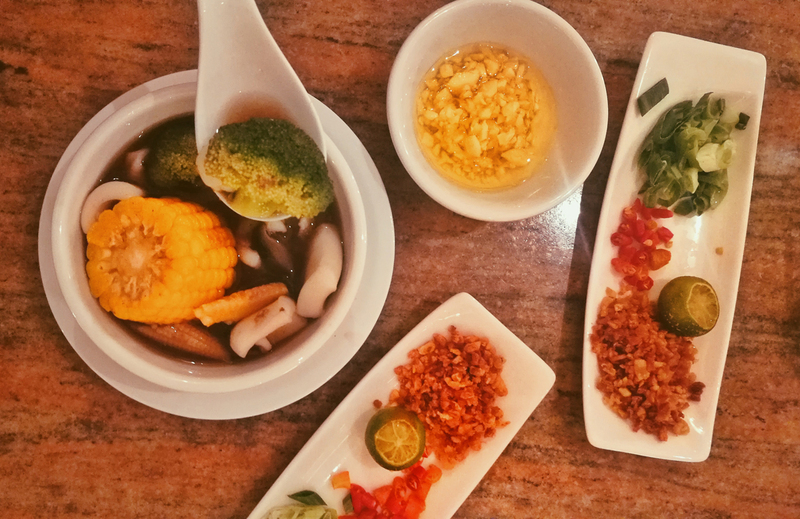 Savor and have your cravings be satisfied with Uno's Modern Filipino taste. See you! And here's another big deal for Summer chill! You don't need to go further just to destress or unwind. 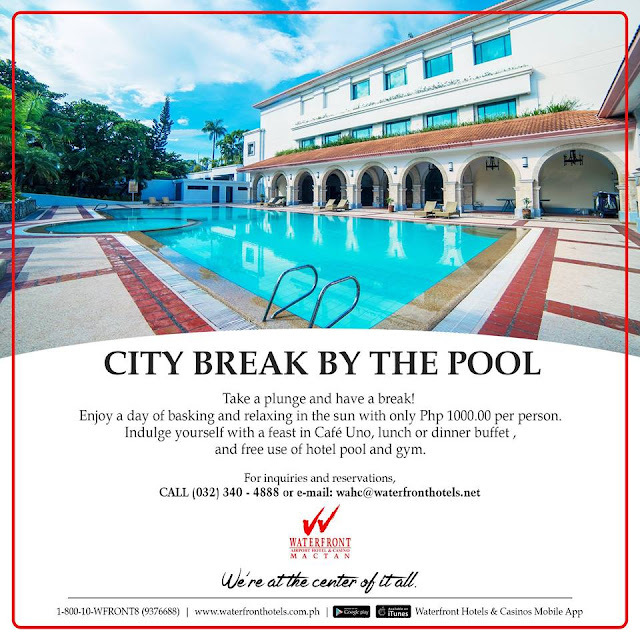 Come to Waterfront Airport Hotel and Casino and take a dip at their swimming pool. 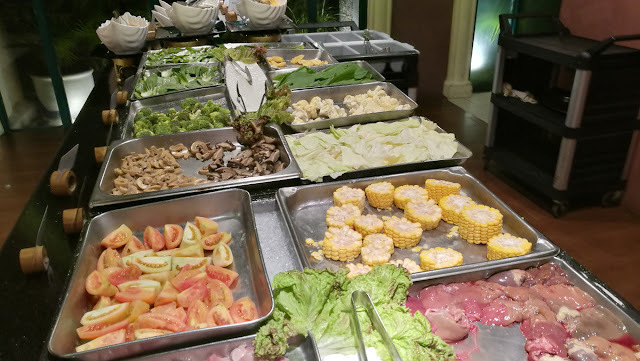 After such relaxing plunge, head to Cafe Uno for some mouthwatering dishes in just PHP 1000.00 nett per person or maybe do some workout in the gym prior feasting at UNO. Need to know more? Check out below contact details and book now!